Also on this date, the Benedictines recall the holy life of Saint Dunstan. 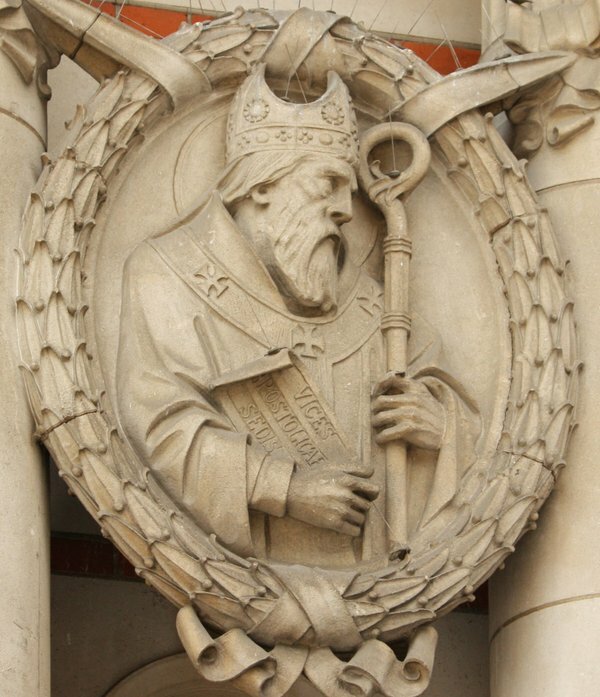 Today’s Benedictine saint is very much revered by the Catholics of England –read up on him here. The Benedictines remember today Blessed Alcuin of York who was born c. 735; died at Saint Martin’s in Tours, France, May 19, 804. 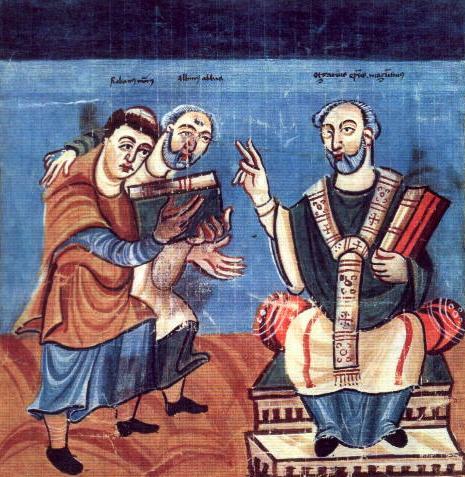 Due to his education and experience in certain human matters, when Alcuin Charlemagne he impressed the emperor so much that he became his adviser. Alcuin was appointed abbot of Saint Martin’s Abbey at Tours (France) in 796 by Charlemagne. At Tours, with Saint Benedict of Aniane, he restored the monastic observance. The Church, in particular the Benedictines, liturgically remember the great Saint Anselm, monk and Archbishop of Canterbury (1034-1109). He is known for his writings on the existence of God and the meaning of Christ’s atonement on the cross. Many outside of the world of theology and monasticism would not really know of Anselm in any significant way. In short, we can say that he was “a monk with an intense spiritual life, an excellent teacher of the young, a theologian with an extraordinary capacity for speculation, a wise man of governance and an intransigent defender of the Church’s freedom…. [and he is] one of the eminent figures of the Middle Ages who was able to harmonize all these qualities, thanks to the profound mystical experience that always guided his thought and his action” (Pope Benedict XVI, Sept. 23, 2009). So, his monastic formation speaks clearly and forcefully than his ability to engage in secular or religious politics. In 1720, Pope Clement XI names Saint Anselm a Doctor of the Church. 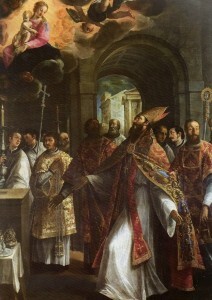 Saint Anselm was a native of Piedmont. 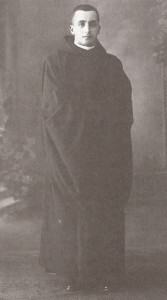 When as a boy of fifteen he was forbidden to enter religion after the death of his good Christian mother, for a time he lost the fervor she had imparted to him. 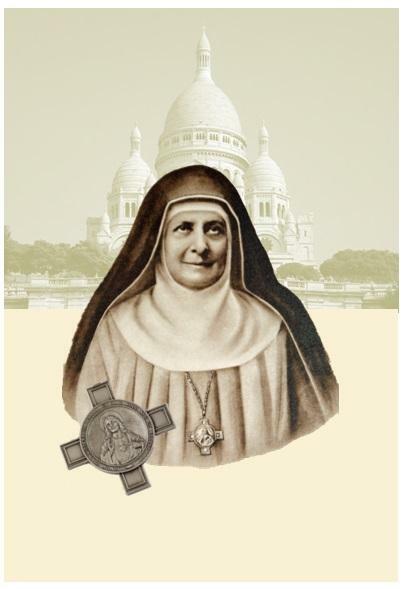 He left home and went to study in various schools in France; at length his vocation revived, and he became a monk at Bec in Normandy, where he had been studying under the renowned Abbot Lanfranc. The fame of his sanctity in this cloister led King William Rufus of England, when dangerously ill, to take him for his confessor and afterwards to name him to the vacant see of Canterbury to replace his own former master, Lanfranc, who had been appointed there before him. He was consecrated in December, 1093. Then began the strife which characterized Saint Anselm’s episcopate. The king, when restored to health, lapsed into his former sins, continued to plunder the Church lands, scorned the archbishop’s rebukes, and forbade him to go to Rome for the pallium. Finally the king sent envoys to Rome for the pallium; a legate returned with them to England, bearing it. The Archbishop received the pallium not from the king’s hand, as William would have required, but from that of the papal legate. For Saint Anselm’s defense of the Pope’s supremacy in a Council at Rockingham, called in March of 1095, the worldly prelates did not scruple to call him a traitor. The Saint rose, and with calm dignity exclaimed, If any man pretends that I violate my faith to my king because I will not reject the authority of the Holy See of Rome, let him stand, and in the name of God I will answer him as I ought. No one took up the challenge; and to the disappointment of the king, the barons sided with the Saint, for they respected his courage and saw that his cause was their own. During a time he spent in Rome and France, canons were passed in Rome against the practice of lay investiture, and a decree of excommunication was issued against offenders. When William Rufus died, another strife began with William’s successor, Henry I. This sovereign claimed the right of investing prelates with the ring and crozier, symbols of the spiritual jurisdiction which belongs to the Church alone. Rather than yield, the archbishop went into exile, until at last the king was obliged to submit to the aging but inflexible prelate. In the midst of his harassing cares, Saint Anselm found time for writings which have made him celebrated as the father of scholastic theology, while in metaphysics and in science he had few equals. He is yet more famous for his devotion to our Blessed Mother, whose Feast of the Immaculate Conception he was the first to establish in the West. He died in 1109.